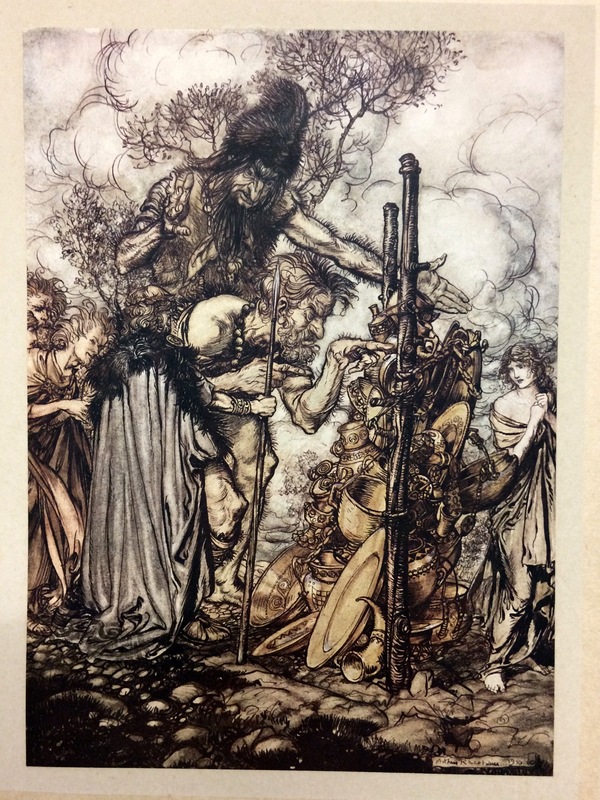 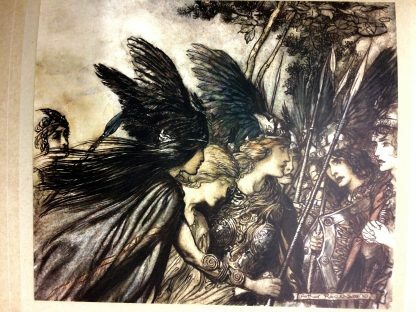 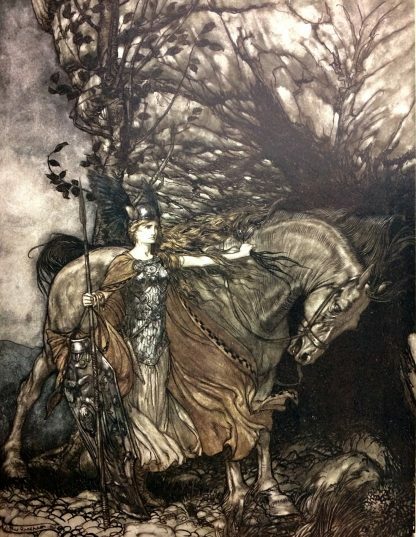 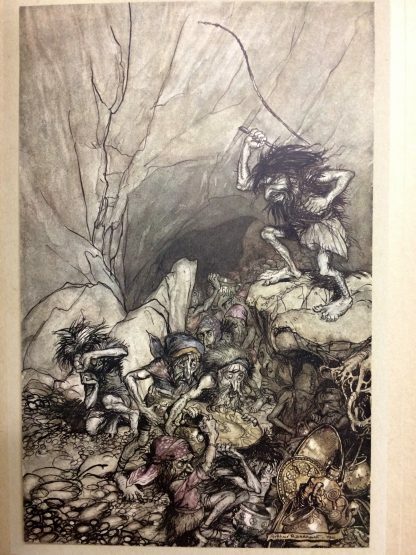 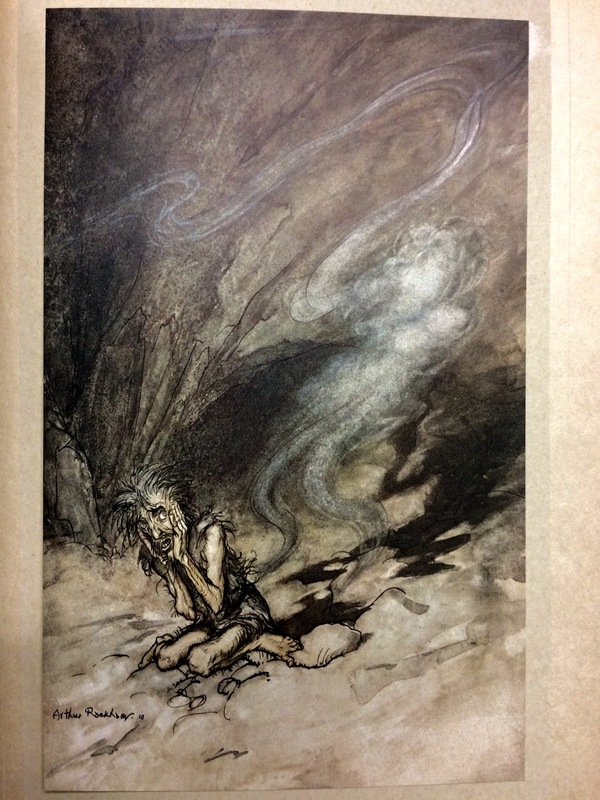 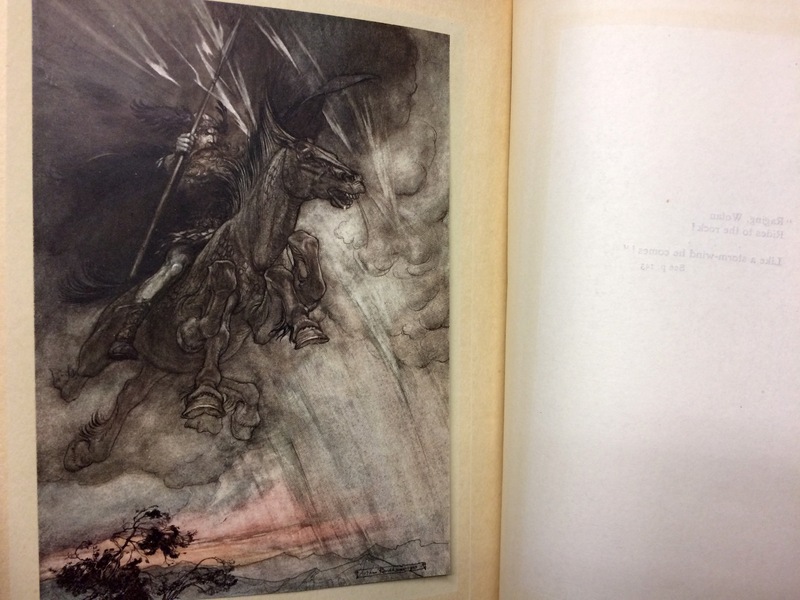 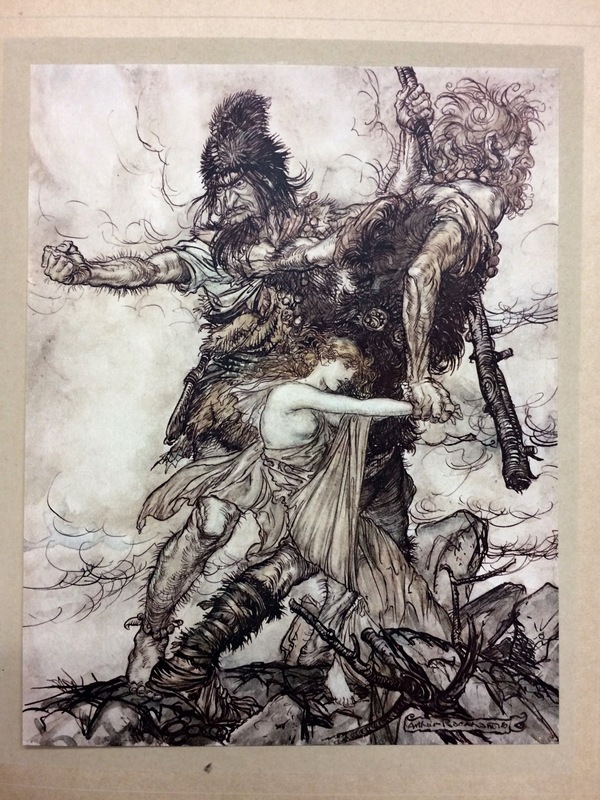 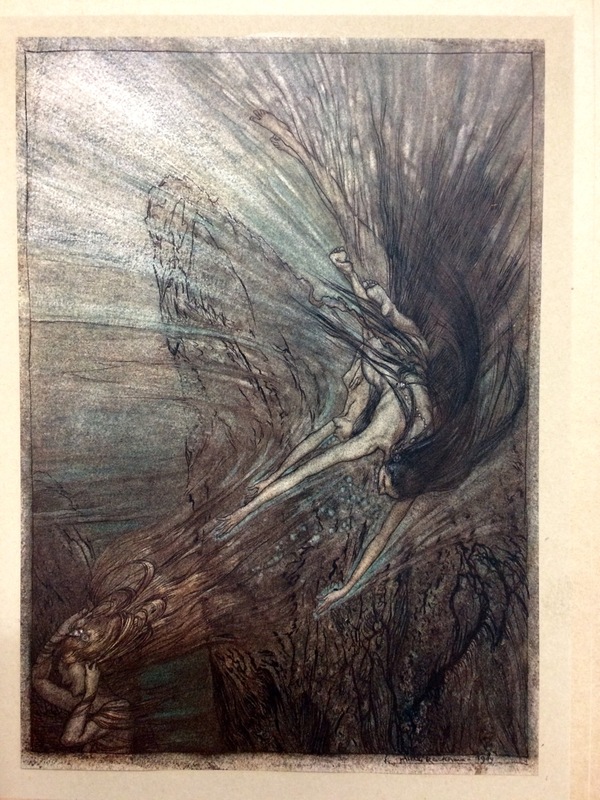 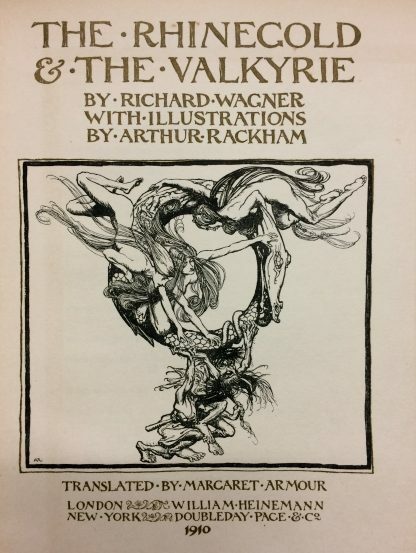 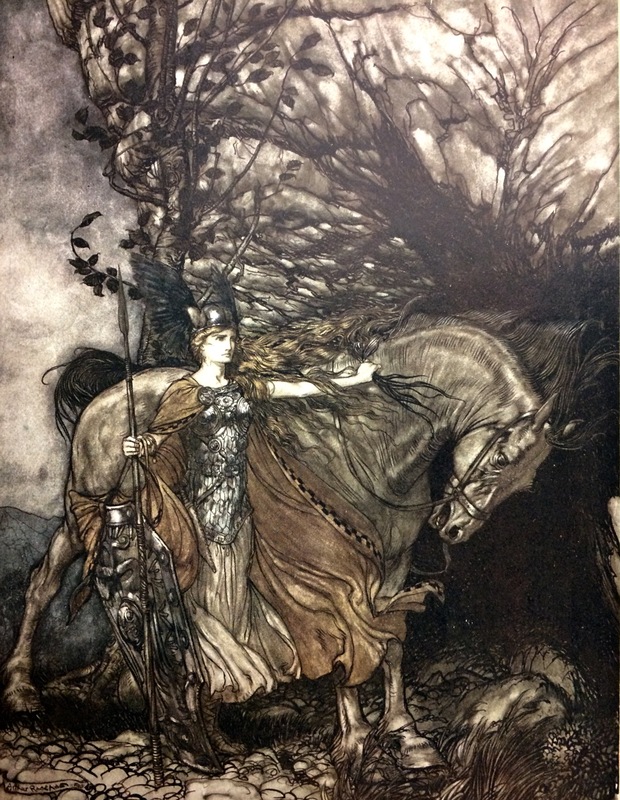 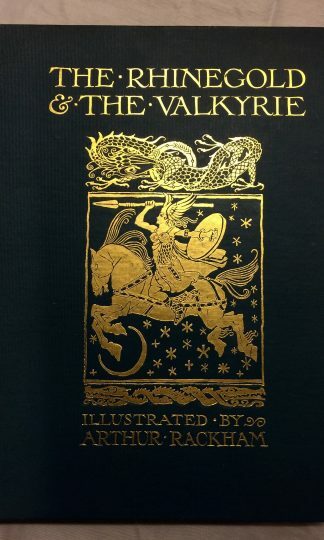 The Rhinegold and the Valkyrie by Richard Wagner with Illustrations by Arthur Rackham, published in 1910. 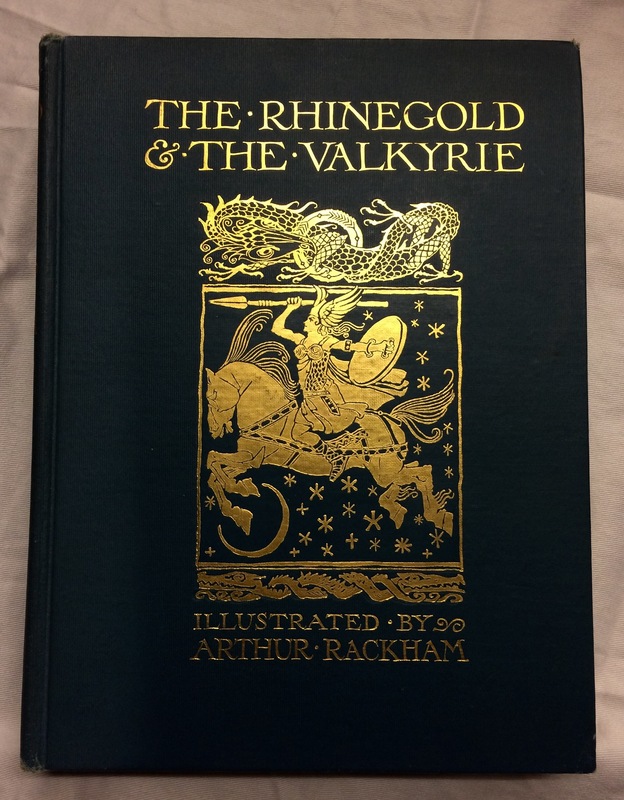 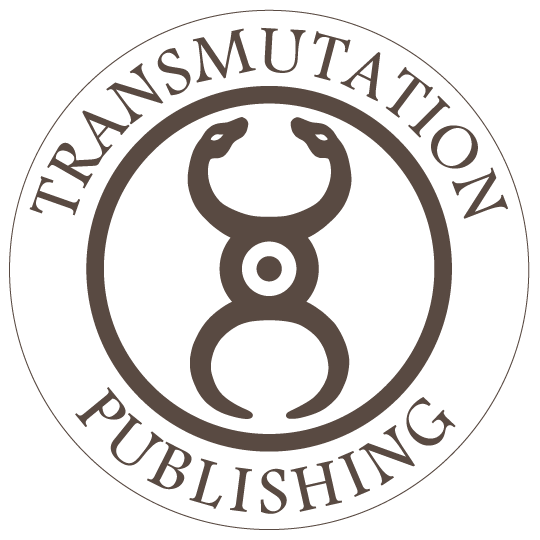 Illustrated with amazing full page plates. 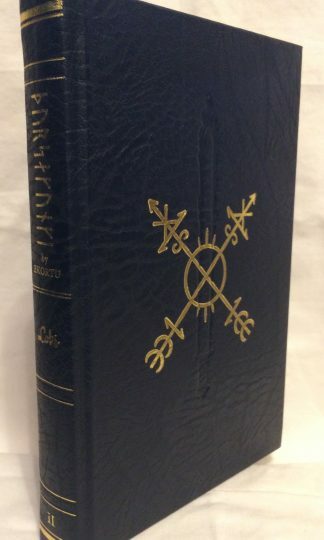 Hardcover with decorative gilt. 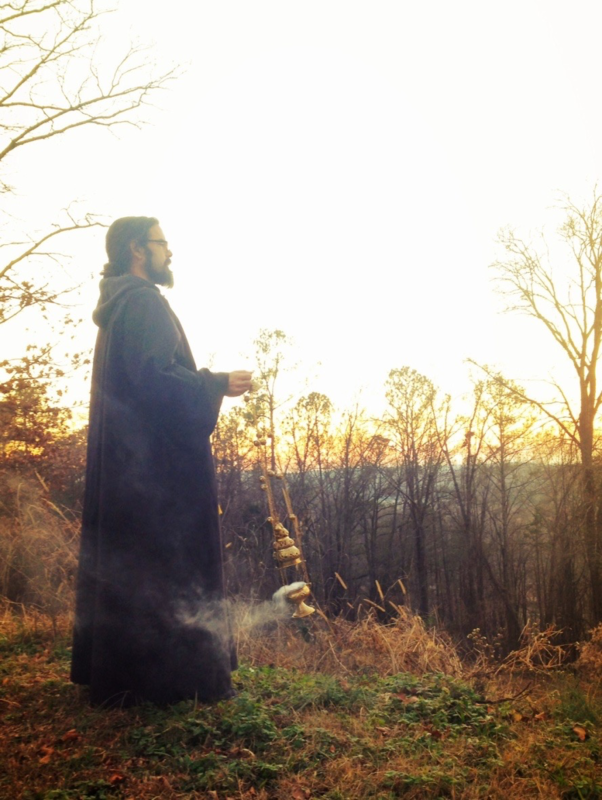 Light shelfwear to corners and ends and occasional foxing.